Update: They actually released it early—enjoy! See the bottom for any extra info. 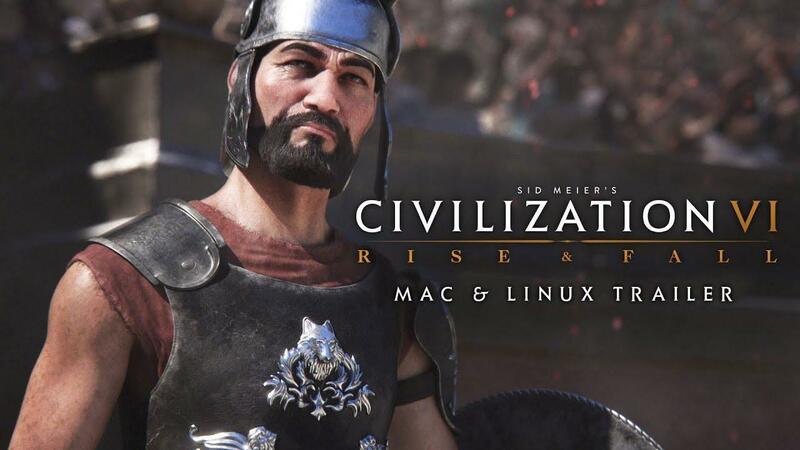 Aspyr Media have confirmed to us today that Sid Meier's Civilization VI: Rise and Fall [Steam] expansion will officially add Linux support tomorrow. Released for Windows back in February, there's been a bit of a gap in getting this hefty expansion supported on Linux. As always though, Aspyr Media haven't let us down and it's finally coming! Get ready to keep telling yourself "just one more turn! ", to realize it's 4am and you have to be up at 7am—which has happened to me. It's really great that Aspyr Media continue to bring out Linux games and keep them updated, hopefully we will see more from them in future. We've asked for some additional information on what's happening in regards to cross-platform multiplayer and how up to date the release will be with patches, will update the article when we hear back. Update: Firstly, it's not up to date yet patch wise. It's using the February patch, not the March patch. So we're still a little behind here in terms of bug fixes, UI updates and balance updates. In regards to getting an update on cross-platform multiplayer, it seems they didn't quite understand my question since they told me it was between Mac and Linux, which we already knew. I've asked them to further clarify the progress on getting multiplayer working with Windows. Update #2: Here's what they said about cross-platform multiplayer—"No update at this time on Windows cross-platform." BTRE will also be doing a review of the expansion now it's on Linux, once he's had enough time. With thanks to Aspyr for providing his key. Looks like it may have been pushed early, as it now has a SteamOS icon. Welp, there goes the weekend, I guess. liamdawe Looks like it may have been pushed early, as it now has a SteamOS icon. This is terrible news! How dare they release it early! Who do they think they are huh? Releasing early is a disgrace to Linux users worldwide! We need it released on release dates, not early! I honestly don't get why people like this game as much as they seem to. In contrast to even Civ 5, the UI is horrible (mostly just wasted space, just look at the diplomacy screen), the AI is horrible, too (even on harder difficulties the AI doesn't seem to know what it is doing) and the graphics just look like mobile-for-kids. Hell, I was playing on ... what was it? Immortal? ... and by mid-game I was at the top and just started clicking next turn and do only what advisors suggested - still ended up winning. The game basically played itself. The whole game seems to be aiming to be a "baby's first 4X". Maybe it would be some fun online with friends, but playing solo I felt totally underwhelmed, uninstalled and just moved back to play Endless Space 2 and Stellaris. 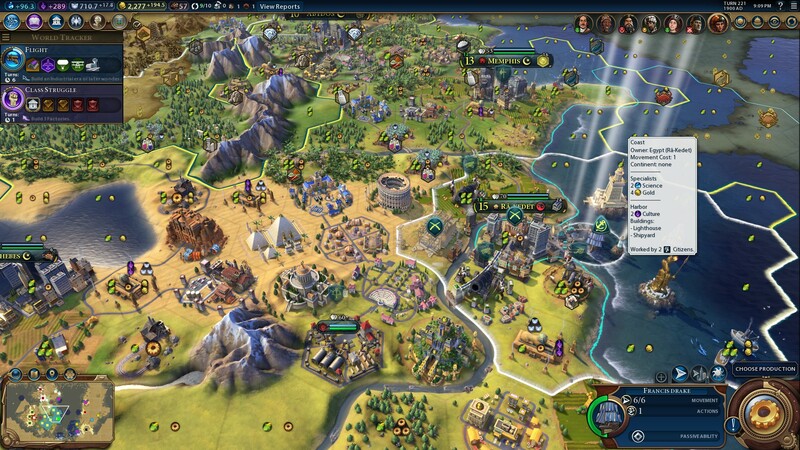 Civ6 graphics are worse than Civ5 or just bad graphics? Let's take a look. Obviously, the CivVI graphics are centered on one simple thing, they used contrast so we can identify things better, but people wanted a Gears of War palette like Civ5, so realistic and mature, well, i'm playing a videogame where George Washington is leading an army of archers and iron sword warriors, that's realism for you. About wasted space on UI, there are mods for that. Kiba Civ6 graphics are worse than Civ5 or just bad graphics? Let's take a look. Looks fine, you can make out everything for what it is, even without knowing the game. Here I'm completely incapable of telling what is what without knowing the game. What in that screen is a forest? What is just a bunch of trees? Is that a burning farm or some mudlands? Where is one tile ending and another one beginning? Is that one cavalry unit or two or four? Everything just has its saturation turned up to 11. That is the opposite of contrast. Making everything bright and colorful as hell does not improve anything. Kiba but people wanted a Gears of War palette like Civ5, so realistic and mature, well, i'm playing a videogame where George Washington is leading an army of archers and iron sword warriors, that's realism for you. You know your argument completely falls apart if you're trying to somehow tie graphical design quality, art style and readability together with setting realism. Kiba About wasted space on UI, there are mods for that. That's all fine and dandy, but doesn't change the fact that the base game has terrible UI design. Mods shouldn't be required to have a well-designed UI. Stellaris, Endless Legends & Space, or so many other 4X games got this right (or at least better). But some incapable designer thought it was a better idea to waste half the diplomancy screen on those caricature abominations instead of using it for something useful. This is the same level of nonsense as those Mass Effect: Andromeda weapon screens that use over 50% of the screen to just show a 3D model while you have to navigate around to get some actual data. Let's use actual screenshots so you can't say ridiculous things. 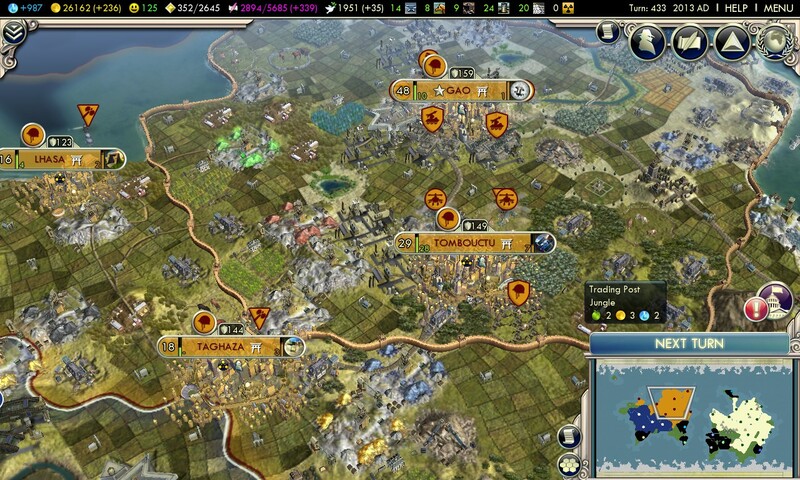 Playing Civ5 feels like being colorblind. I think their graphics styles are very different. CivV colors are more muted and thus it is hard to make out what's what on map from above. CivVI is better at that. It is a trade off - it looks a bit more cartoony, but in result it is easier to make out shapes.